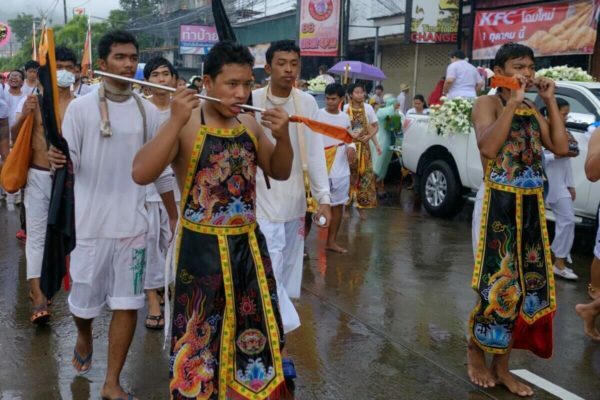 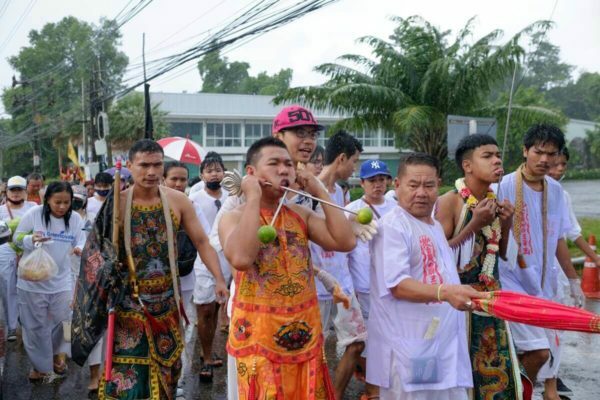 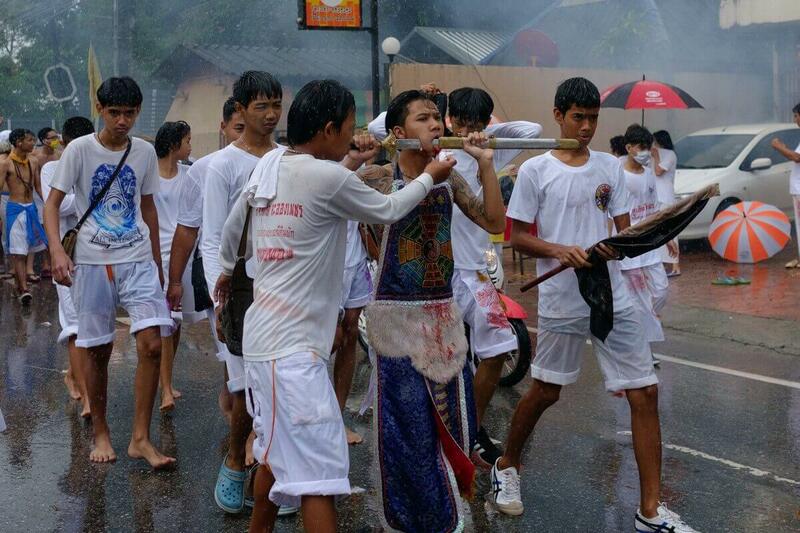 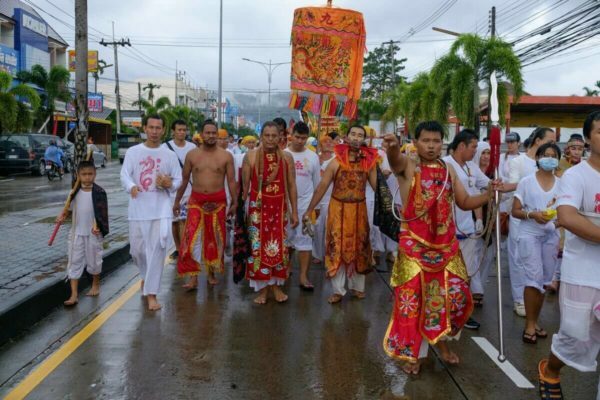 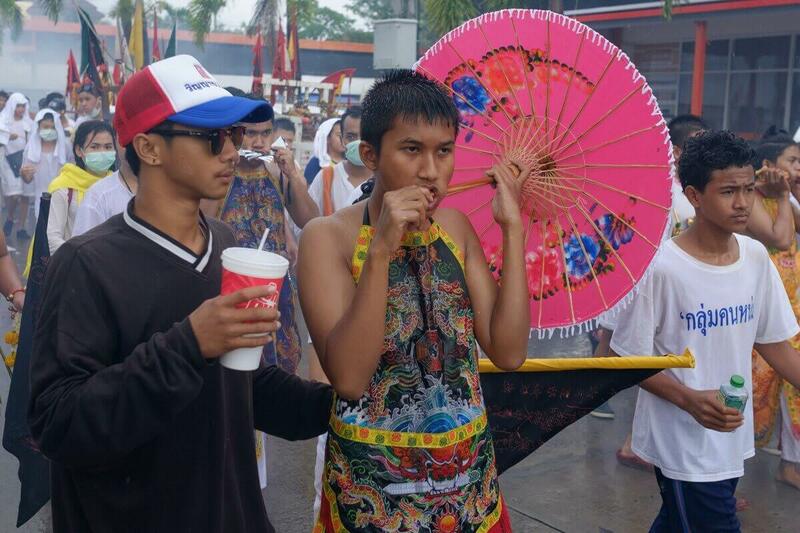 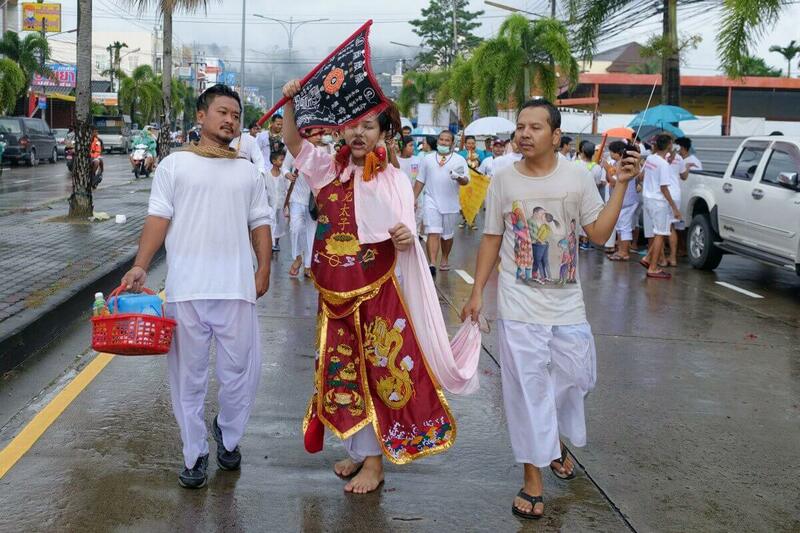 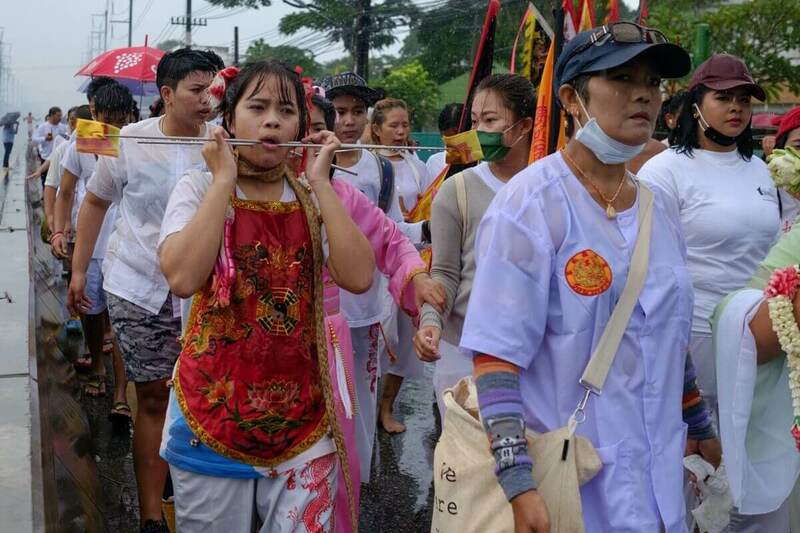 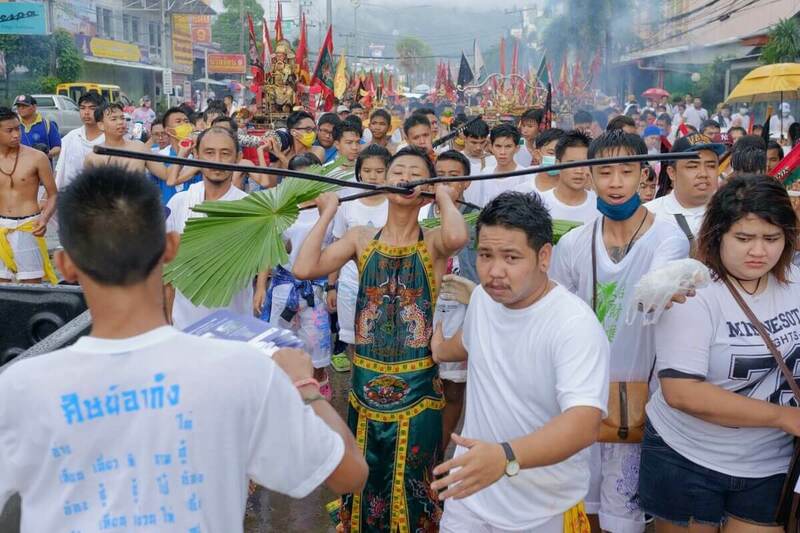 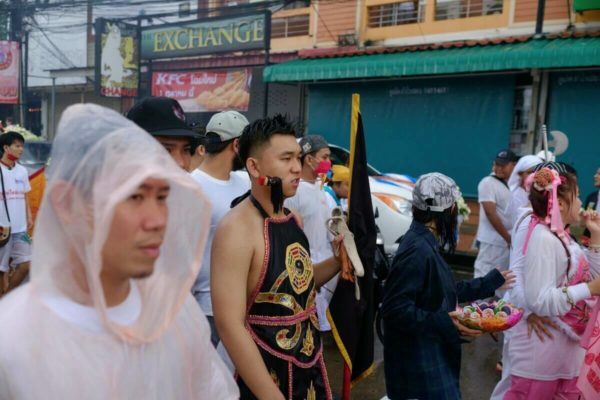 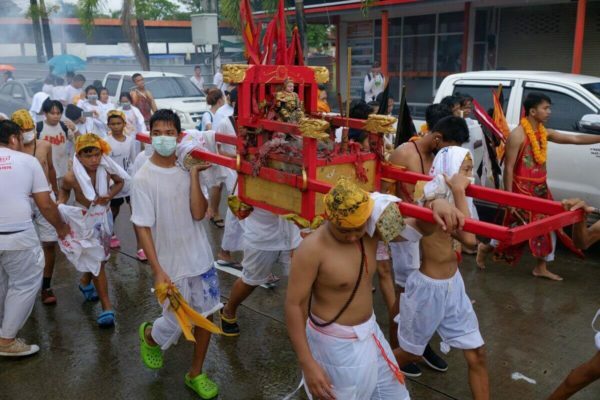 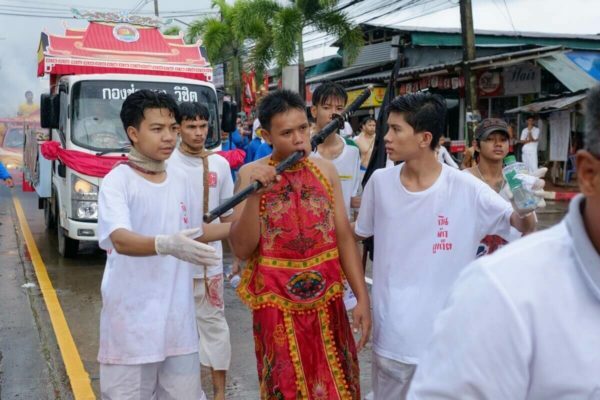 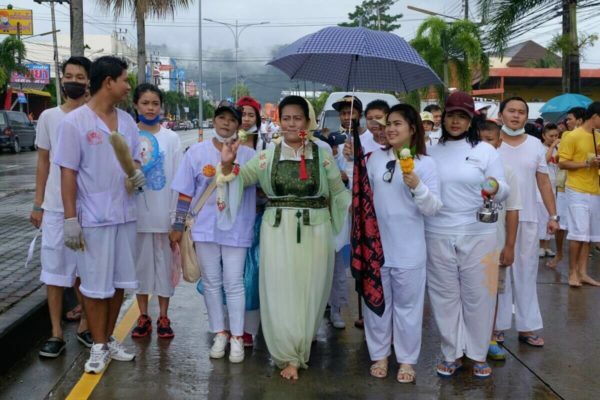 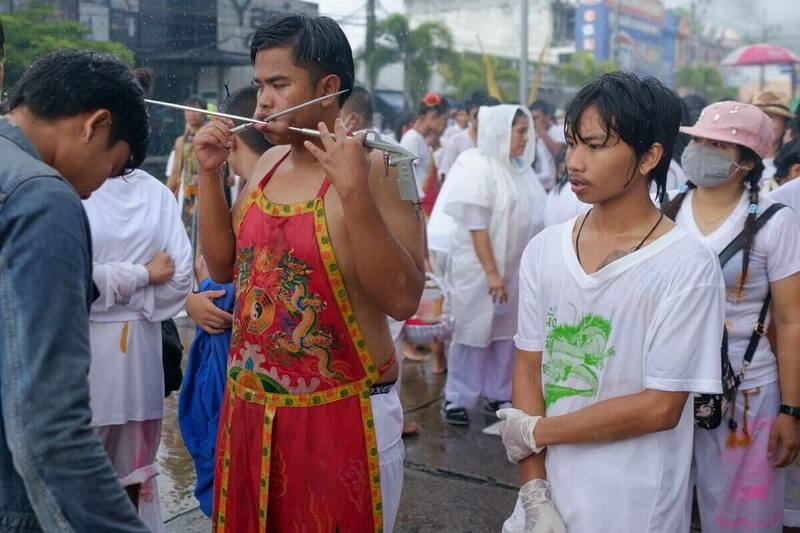 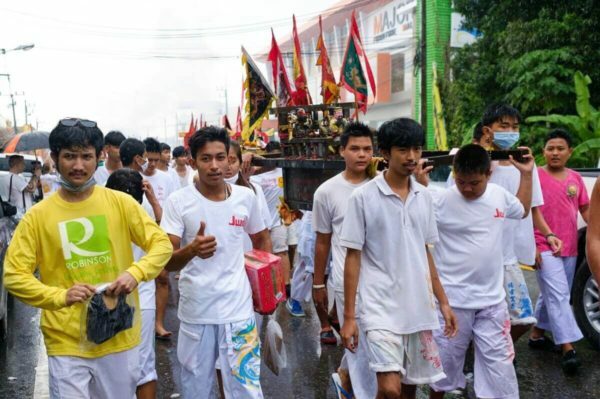 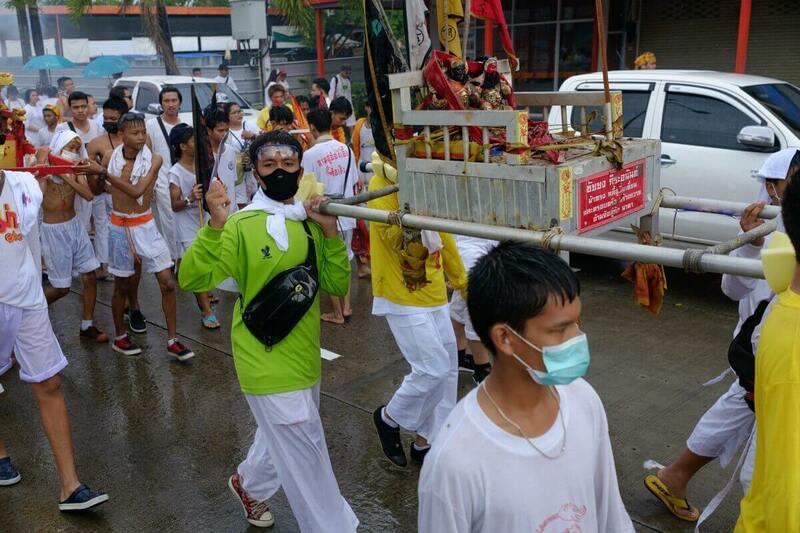 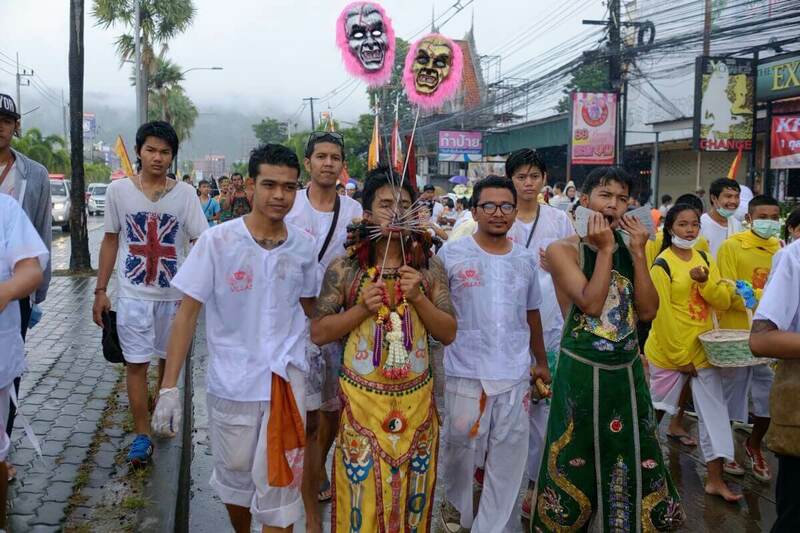 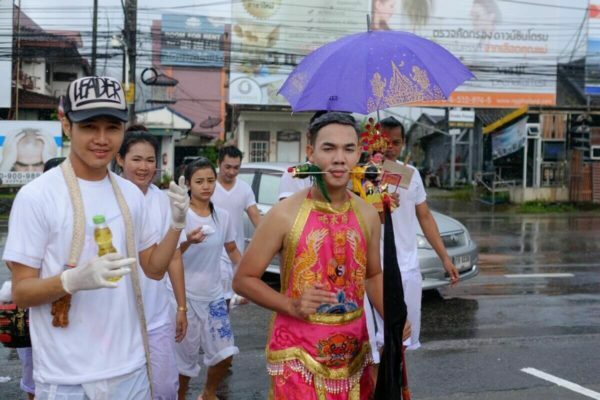 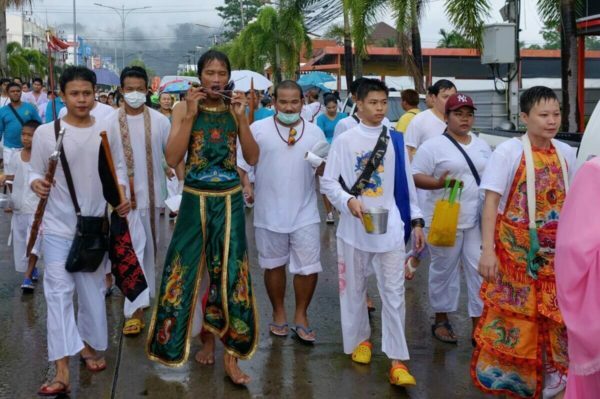 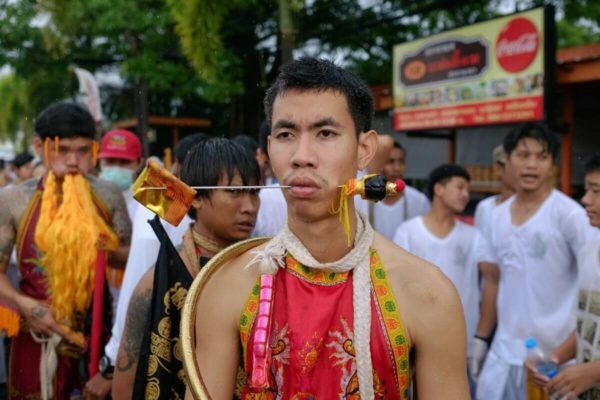 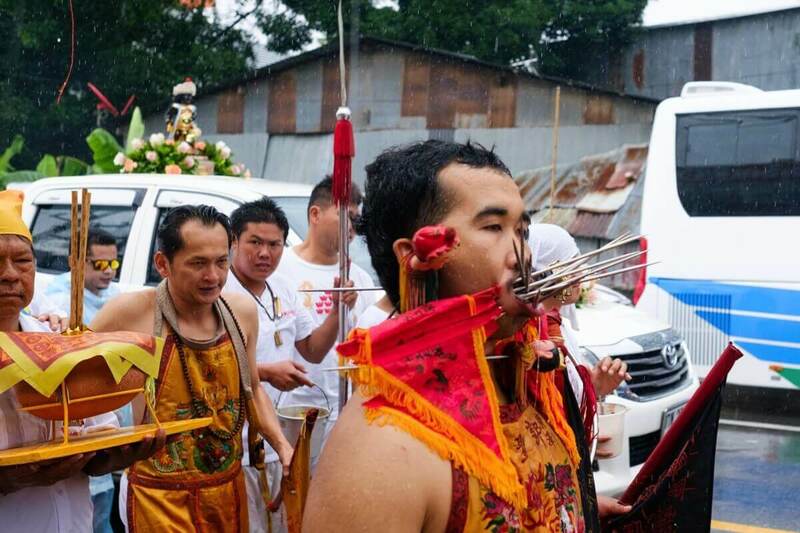 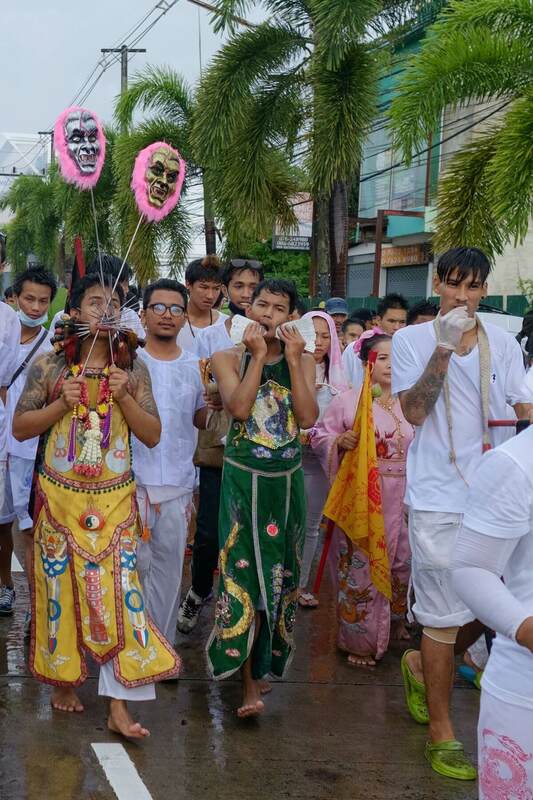 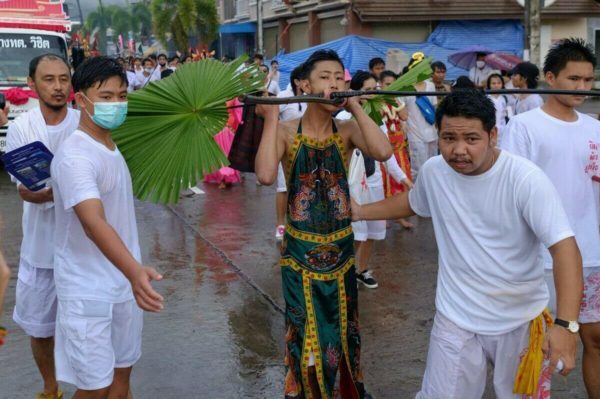 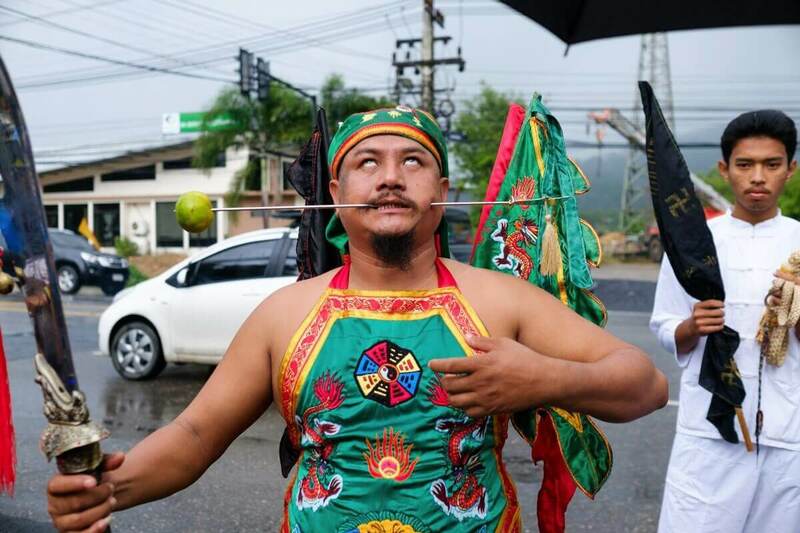 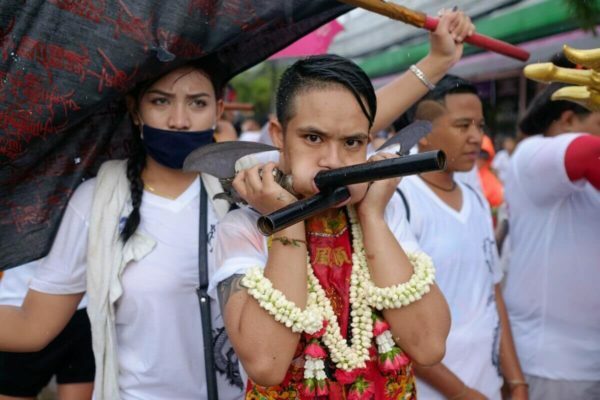 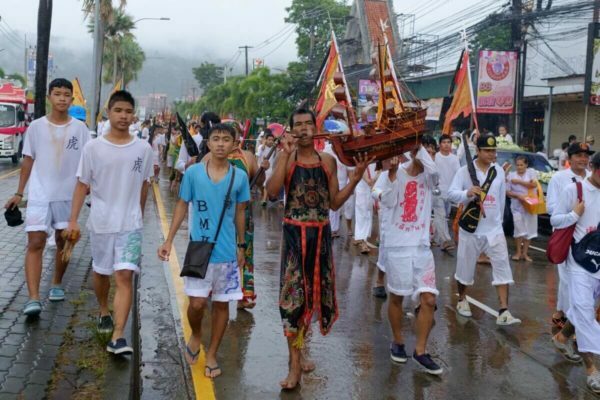 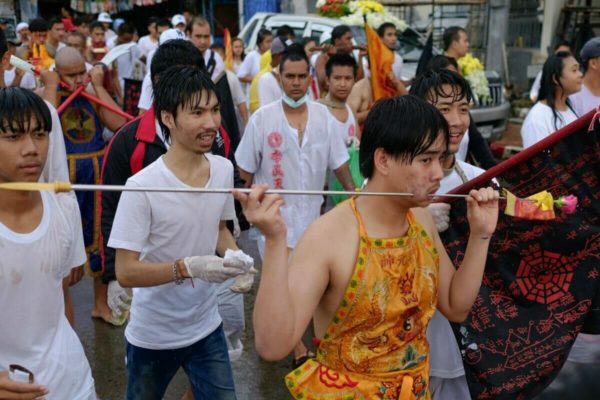 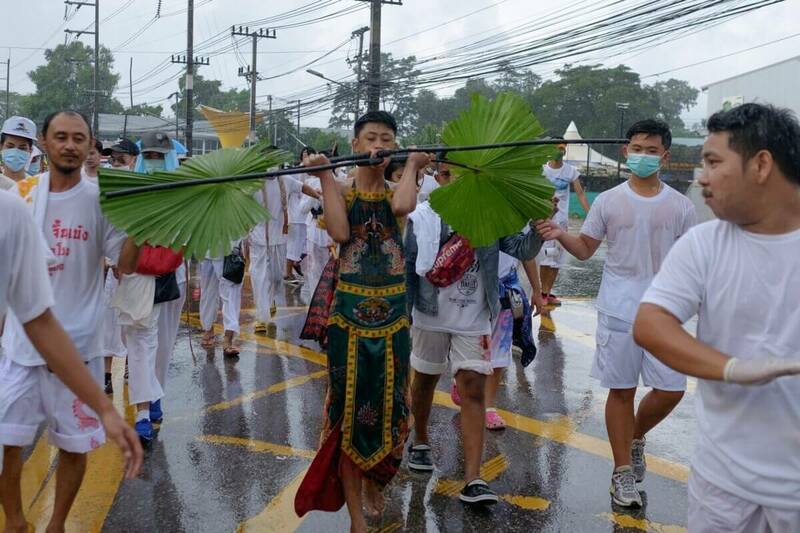 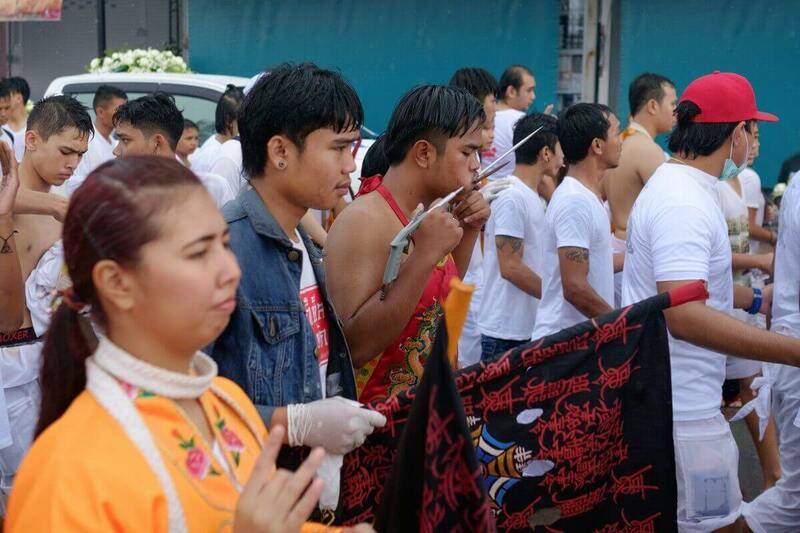 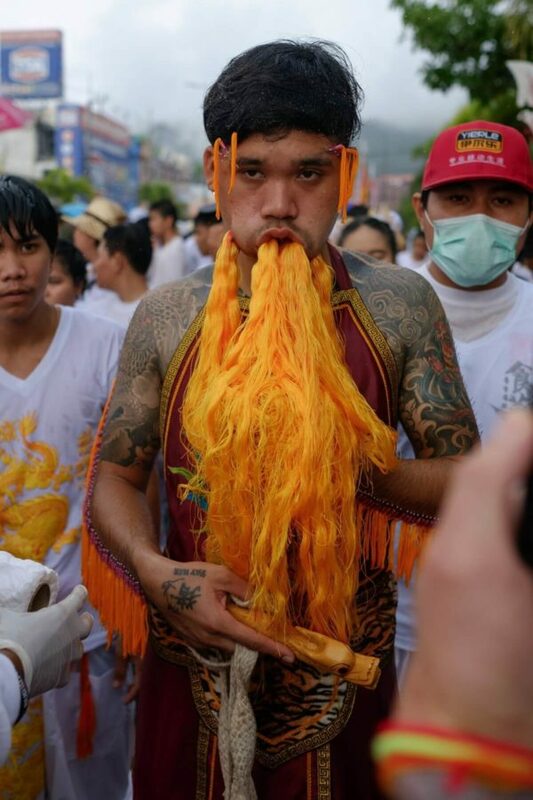 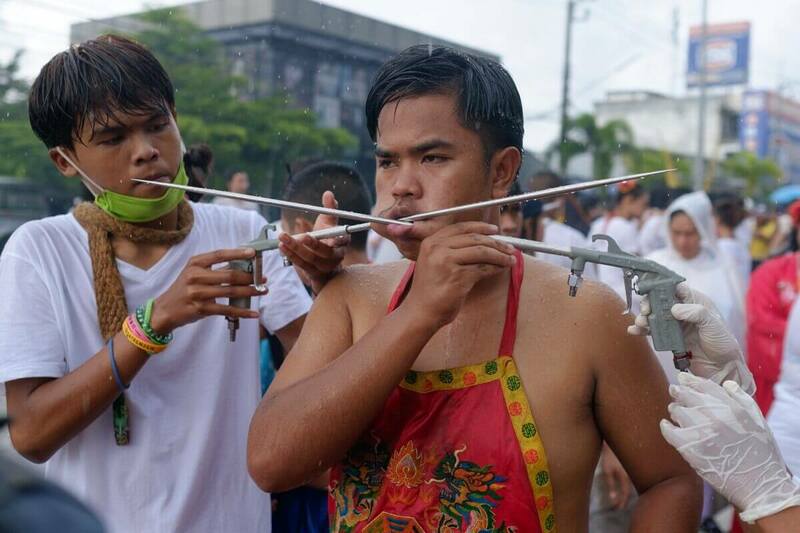 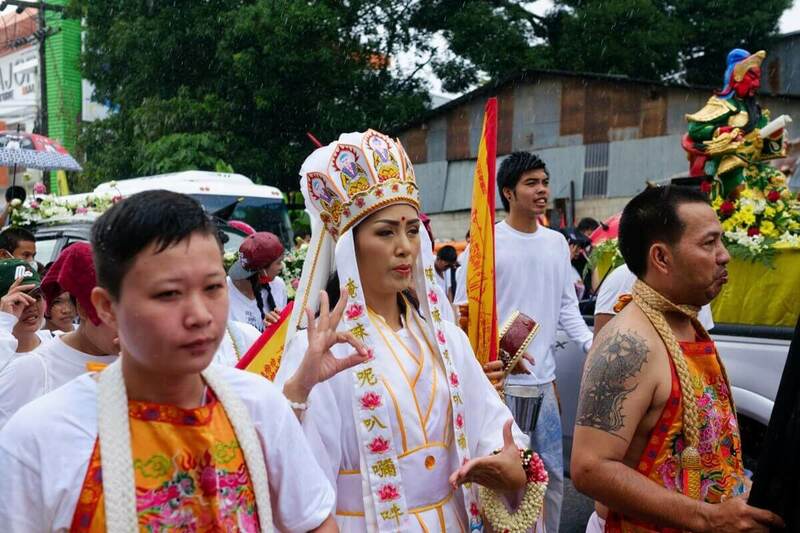 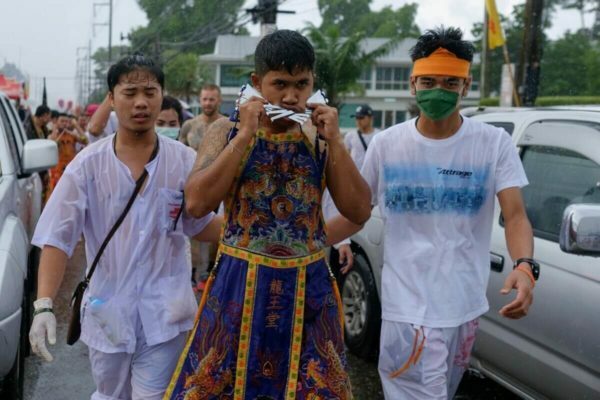 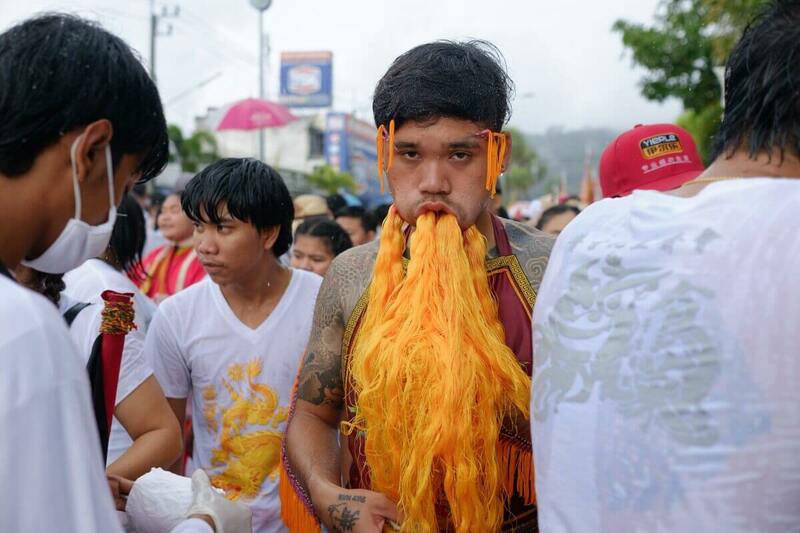 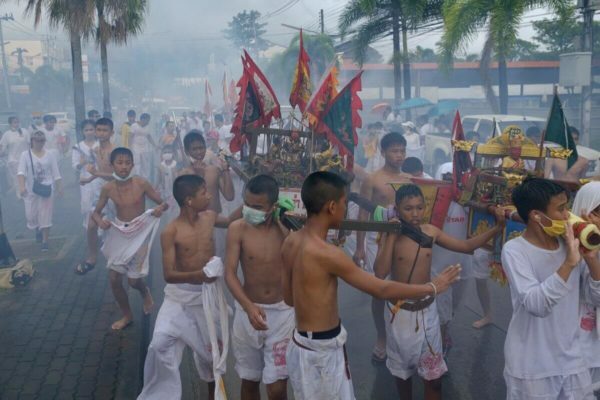 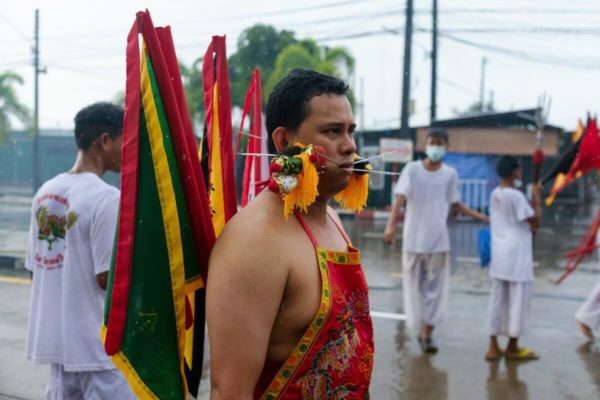 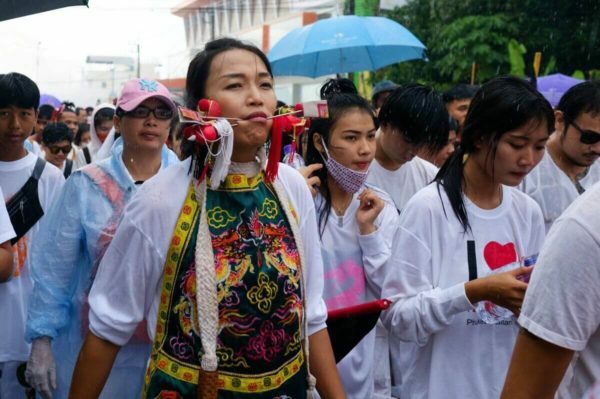 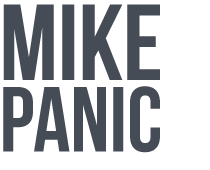 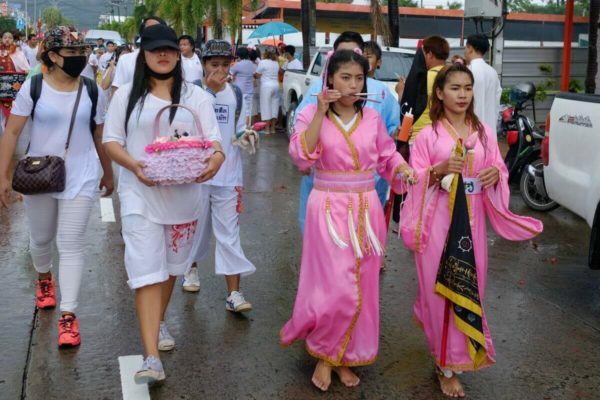 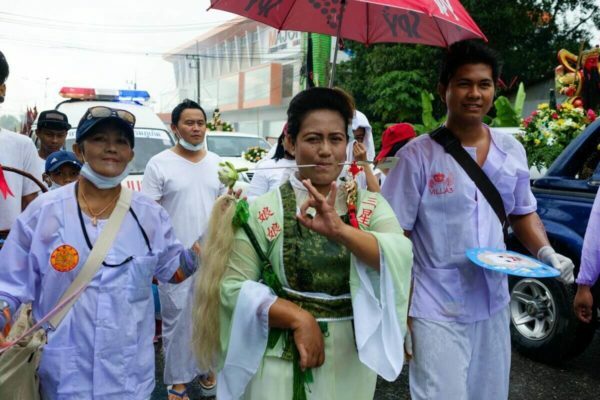 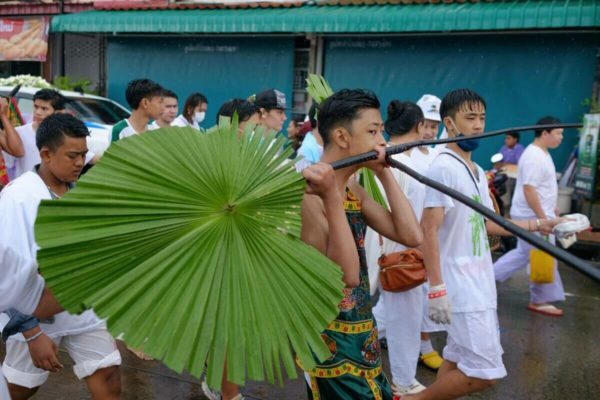 One of the main reasons I went to Thailand was to see The Phuket Vegetarian Festival, which is one of the unofficial names for the Nine Emperor Gods Festival. 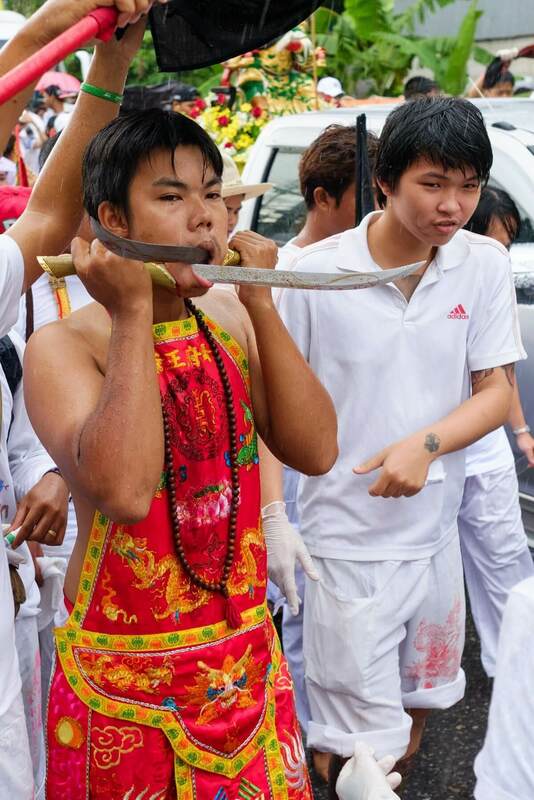 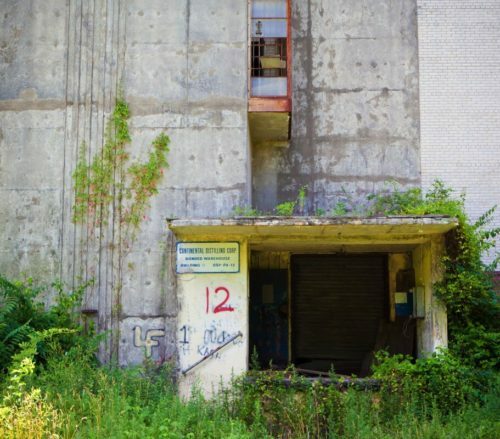 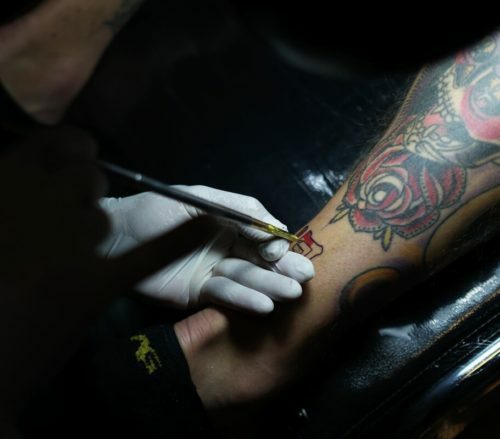 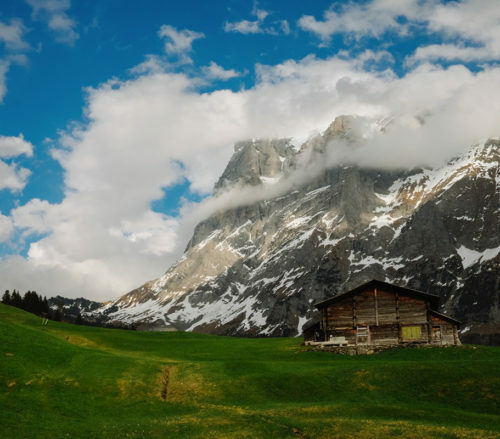 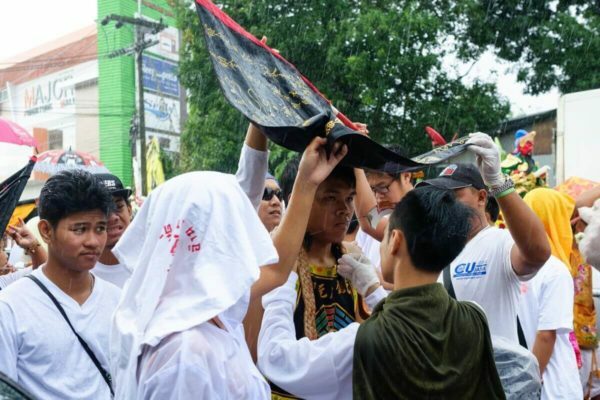 The linked Wikipedia article will allow you to read more about the festival, but in short, participants enter a trance like state and perform self mutilation to show their devoutness to their beliefs. 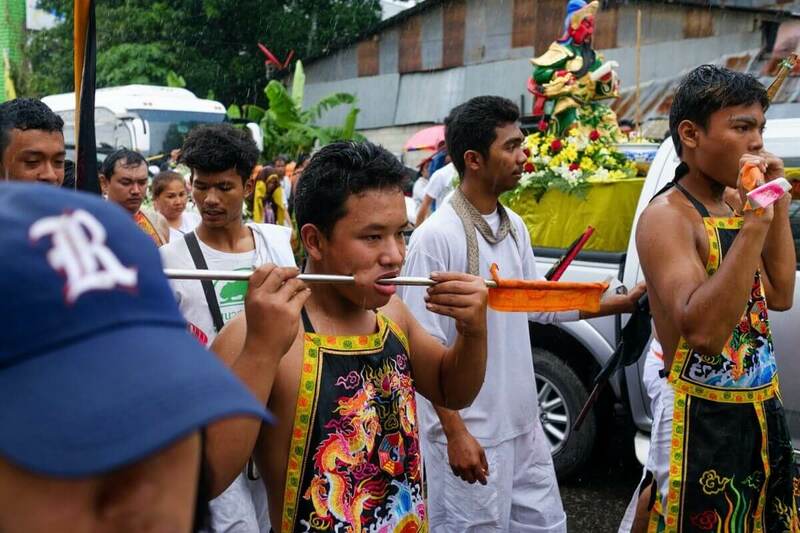 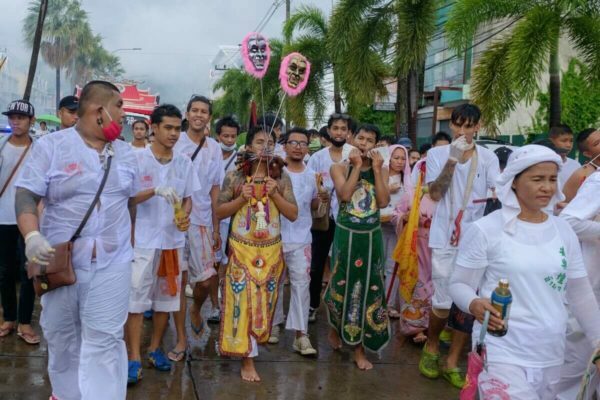 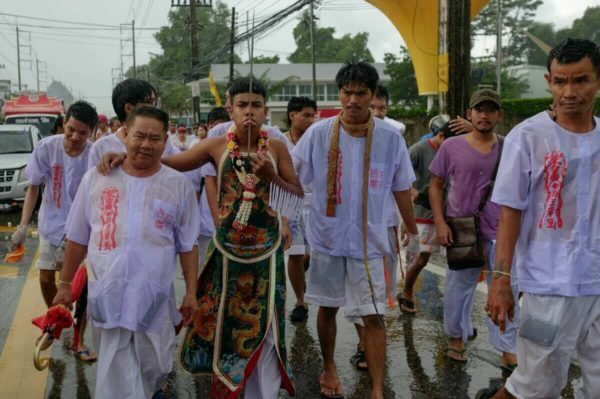 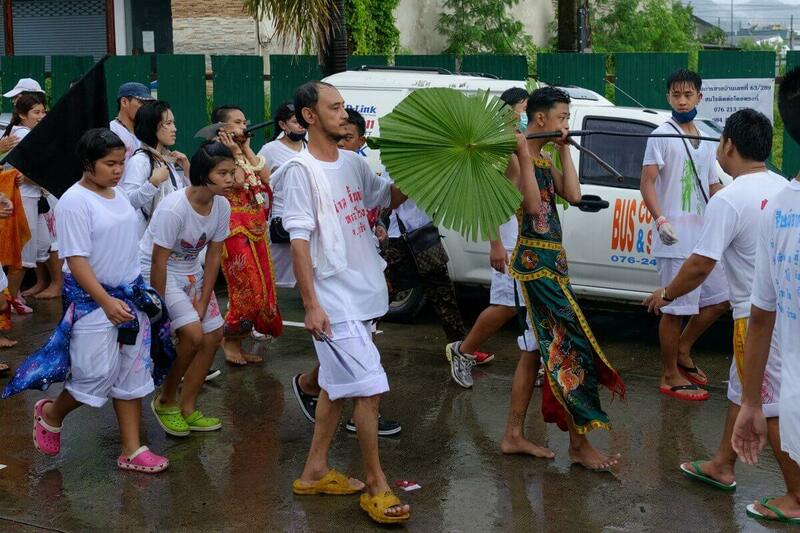 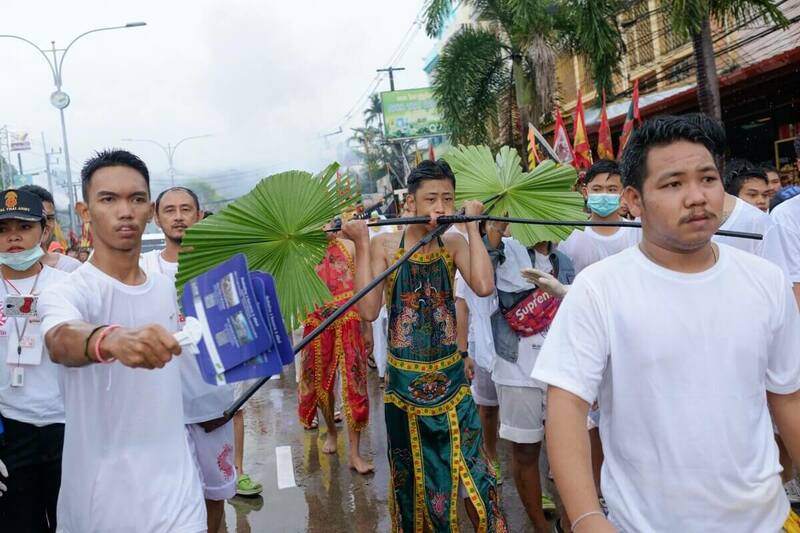 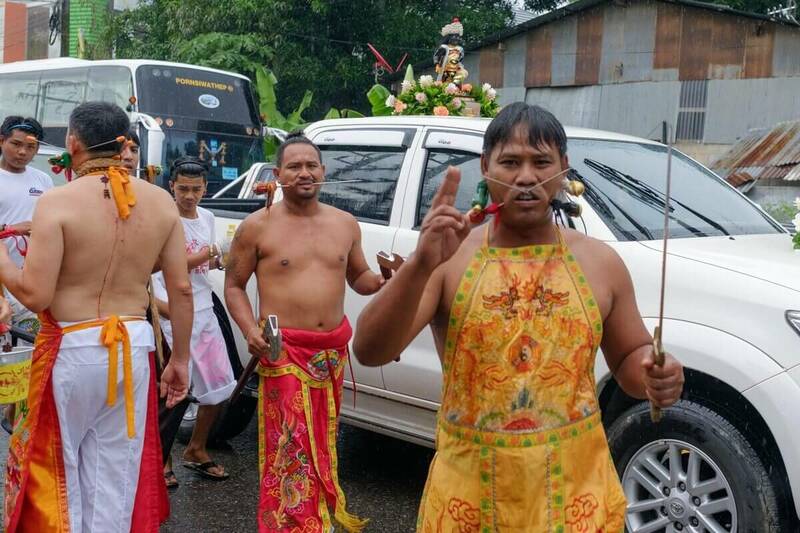 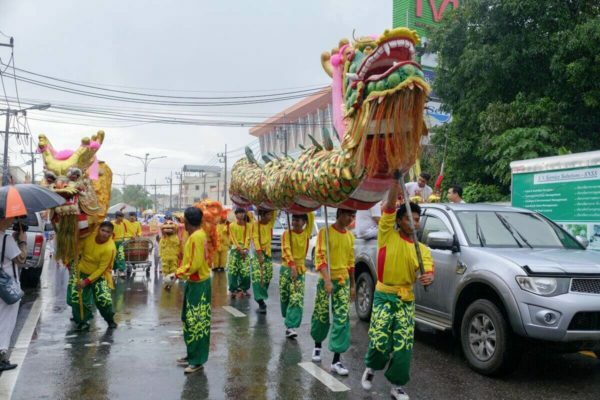 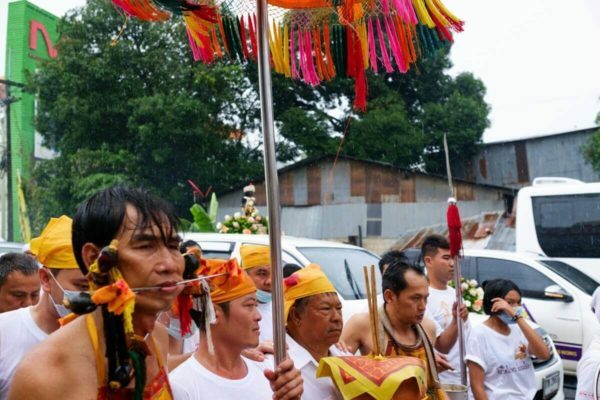 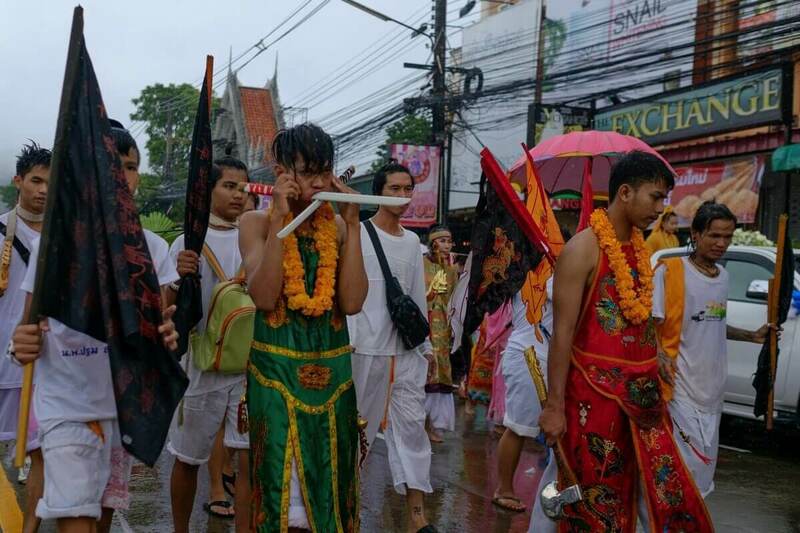 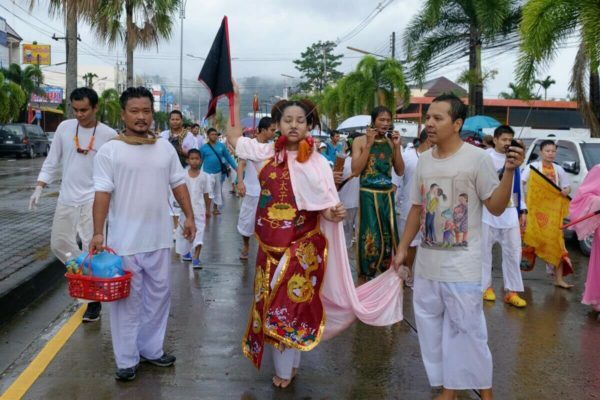 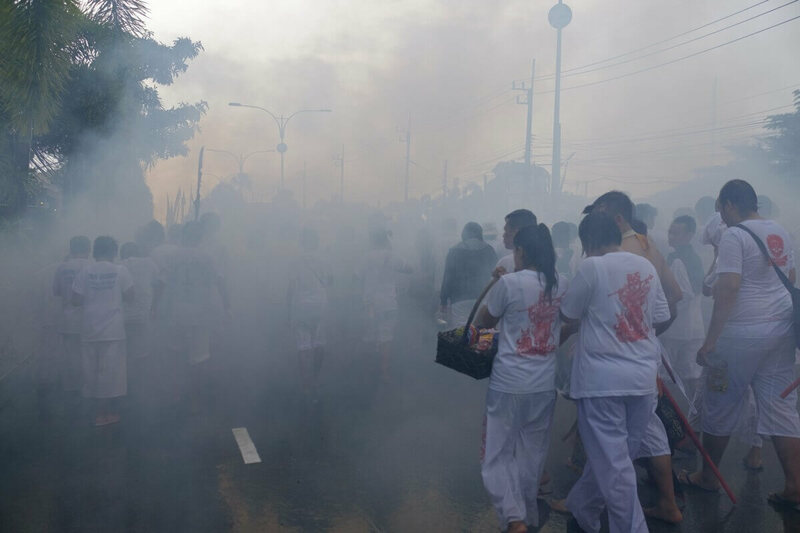 This particular day it poured rain, the festival procession is not on closed roads, rather traffic weaves in and out and the entire time loud music is played, fireworks are setup of with plumes of smoke and the devotees walk barefoot through the streets. 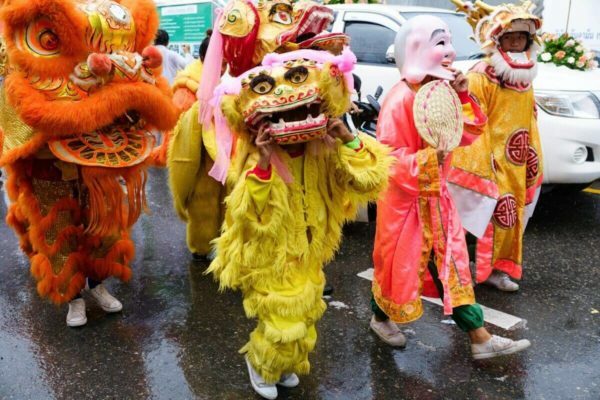 Unlike parades in America, these do not have official barricades and only occupy one side of the street, so oncoming traffic is still an issue. 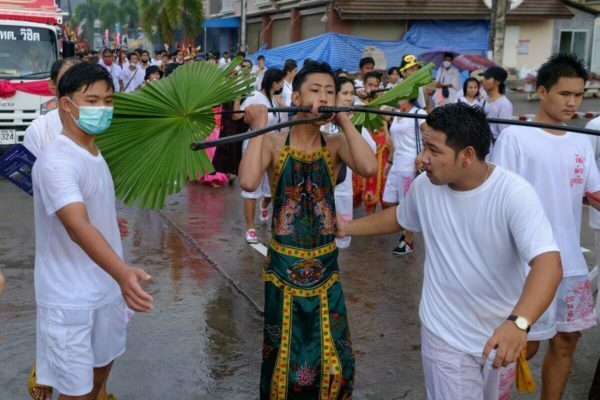 For about 45 minutes I walked among the parade, shooting photos from the sideline and at times, directly in the middle. The rain poured, the sounds were unbelievable and the emotions ran high; All positive. 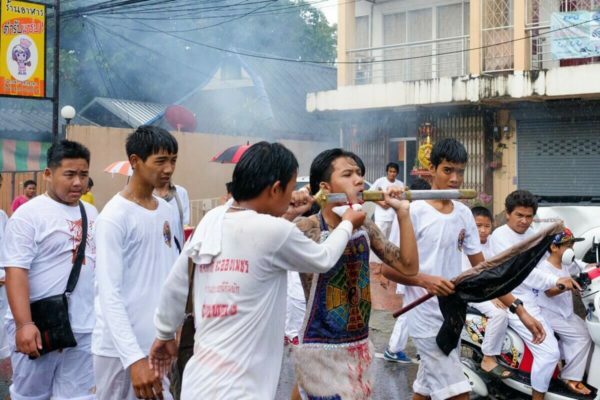 And just like that, what felt like a few minutes at best, the majority of the procession that I had been running back and forth between had passed. 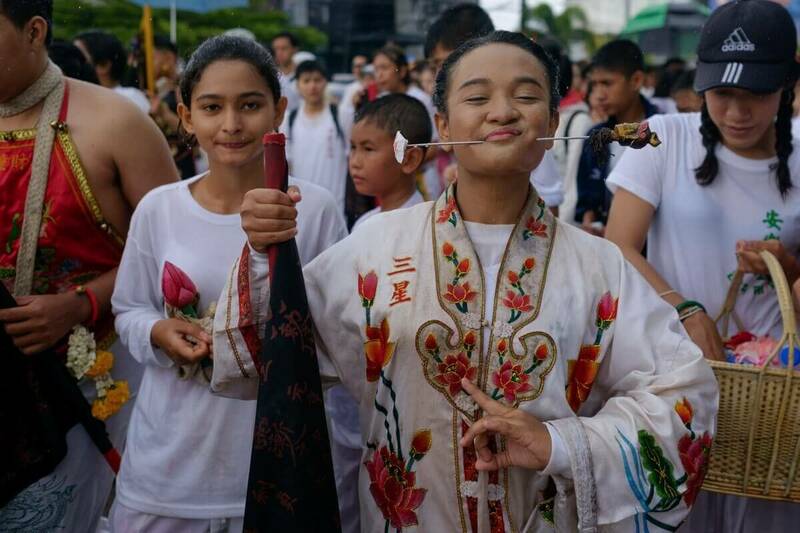 The photos are a decent representation of the event, but it really needs to be seen in person to fully utilize all five senses.